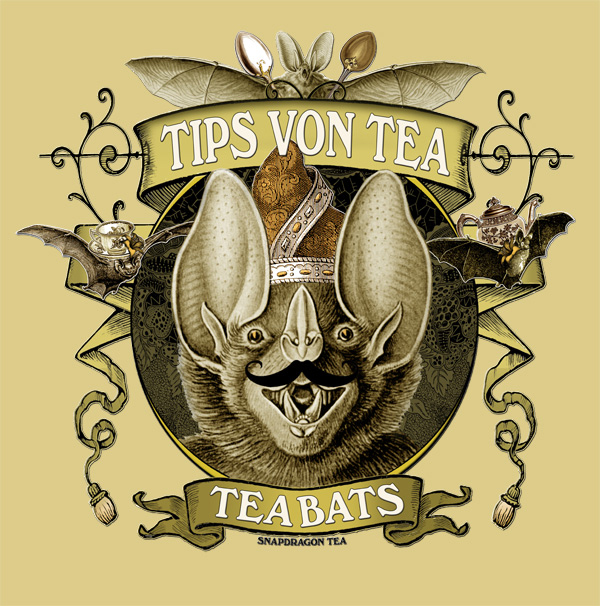 Tea Bats Tips Von Tea – The Attic Shoppe Trading Co.
Our Tea Bats are a quirky sort. 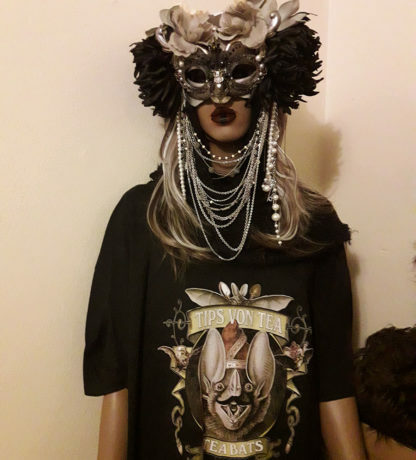 I guess that’s to be expected from any group that are influenced so greatly by Mad Hatter prose! 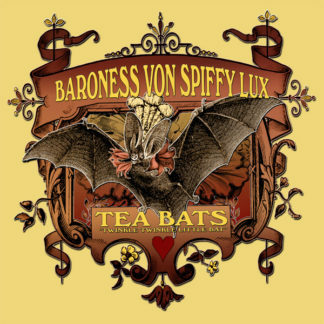 This particular design celebrates the very cheeky and fun tea bat (who is also in the tea bat witness relocation program and rocks that mustache!) 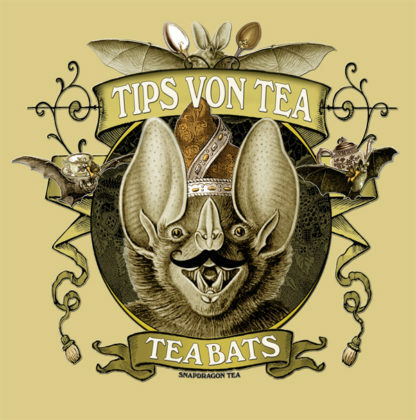 Tips Von Tea. 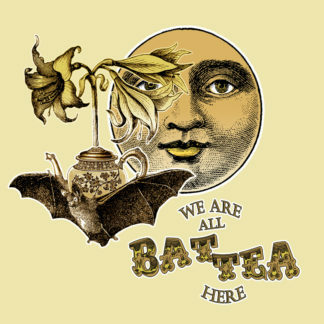 This is an original design by shoppe artist Bethalynne based on her Tea Bats Lenormand. 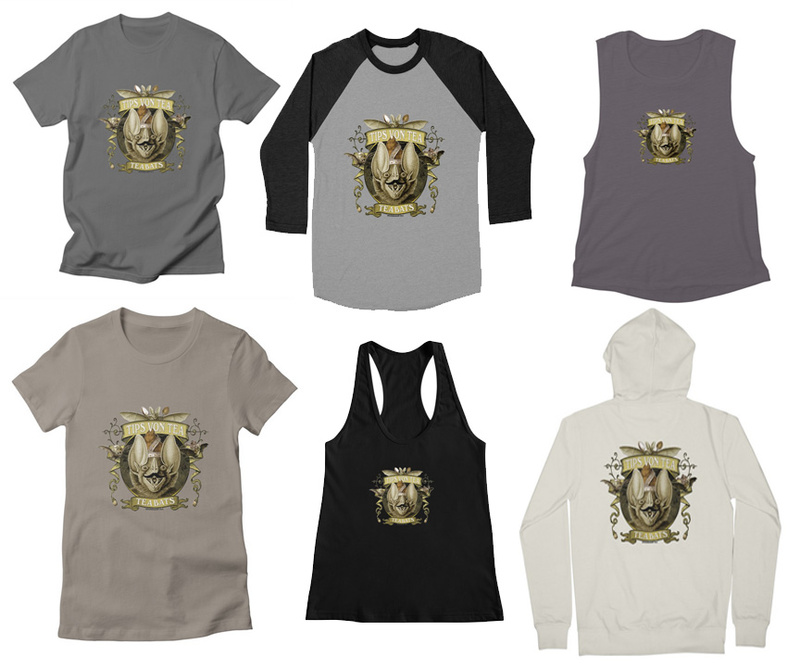 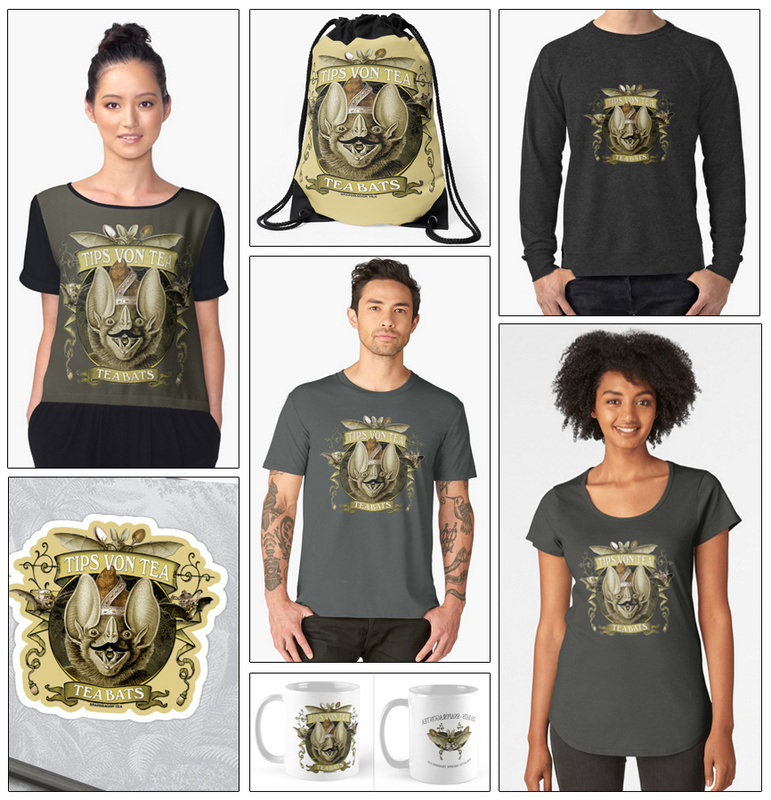 This design can be customized on a variety of different types of apparel, products and color choices made to order through one of our affiliate sites. Each affiliate is a little different with their available products. 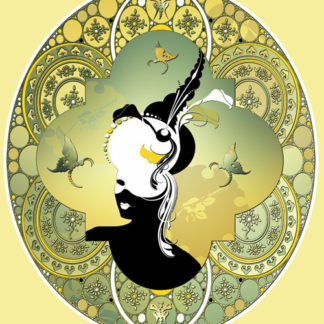 Links below lead directly to this design.